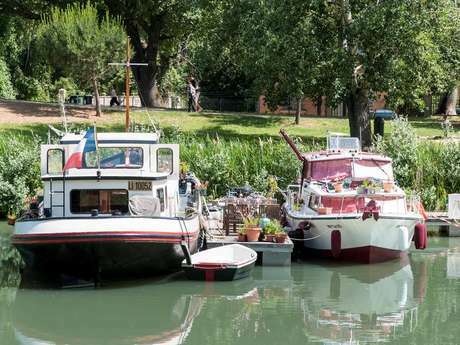 In addition to all of the pleasure boats that come throughout the year via the Montech canal that links the city to the lateral canal to the Garonne, the port offers a breath fresh air for Montauban locals and for tourists who arrive seeking not only the peace of the flowing river but also to admire the flotilla that crosses the port's double dam before joining the Tarn. 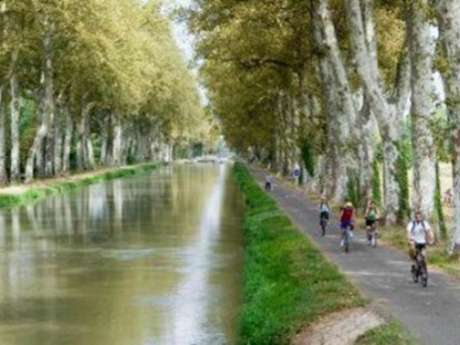 Whether on foot or bicycle, la Vélo Voie Verte (the Green Bike Path) is the perfect place to recharge your batteries and engage in some exercise. Here you also have the opportunity to take a river cruise along the Tarn with our partner Les Croisières de Montauban (Montauban Cruises). You book lessons on how to navigate a boat with ENAM, or grab a bite at the Le Port restaurant that is open during the summer and offers the perfect place to end your day with its gorgeous riverside views. Throughout the year there are activities scheduled to highlight the fact that this out-of-the-way beauty spot is "the place to be" during your visit.